Alaska Junction, or Junction, is a neighborhood of West Seattle. Homes for sale in the Junction area are mostly craftsman-style single families on small acreage and condos. Alaska Junction is situated between the communities of Genesee, Admiral, Fairmount Park, and the West Seattle Bridge connecting W. Seattle to the rest of downtown. This is considered to be a trendy neighborhood with plenty of little stores, coffee shops, arts events, and farmers markets. 1 Beds | 1 Baths | 831 sq. Ft.
2 Beds | 2 Baths | 1480 sq. Ft.
2 Beds | 1.75 Baths | 1467 sq. Ft.
2 Beds | 1.75 Baths | 1123 sq. Ft.
3 Beds | 1.75 Baths | 1460 sq. Ft.
4 Beds | 4 Baths | 4074 sq. Ft.
Blue Summit Realty has the most accurate and up to date Alaska Junction real estate listings on the web. Currently there are 7 homes for sale, 4 condos for sale, and 1 vacant land properties in Alaska Junction. Of the 12 total Alaska Junction residential listings for sale 0 are bank owned, 0 are short sales, 0 are new construction, and 0 are townhomes. The price ranges from $325,000 to $0 with a median list price of $571,539 and median sold price of $582,333. Make sure to refine your Alaska Junction real estate search by property type, price, square footage, bedrooms, bathrooms and more with the search tool above or view the Alaska Junction listings on our interactive map. 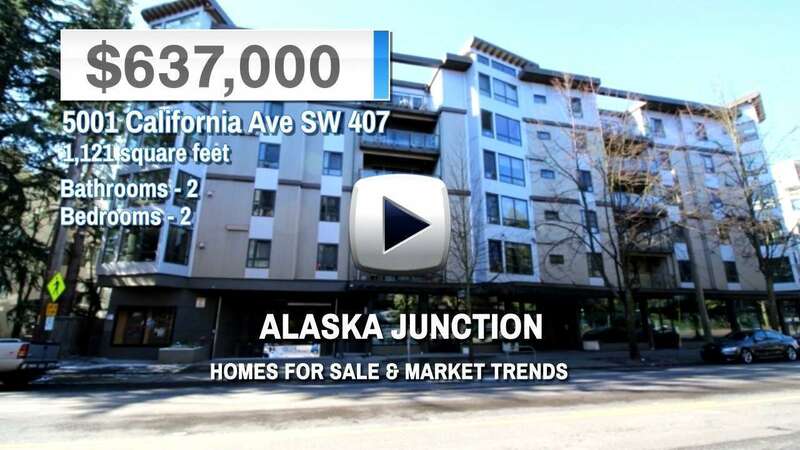 Our Alaska Junction real estate listings were updated 18 minutes ago.